There's just something really satisfying about seeing little vanilla bean flecks in vanilla flavored desserts! I think maybe it has something to do with them reminding me of the best tasting vanilla ice creams (like Breyers! Yum!! My favorite!). 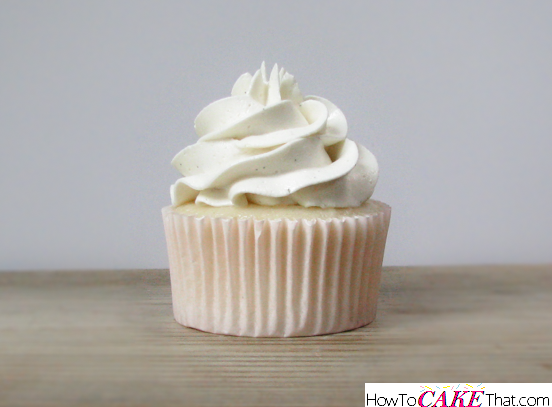 So I decided to create a vanilla whipped buttercream recipe including these delicious little specks. I hope you enjoy!! 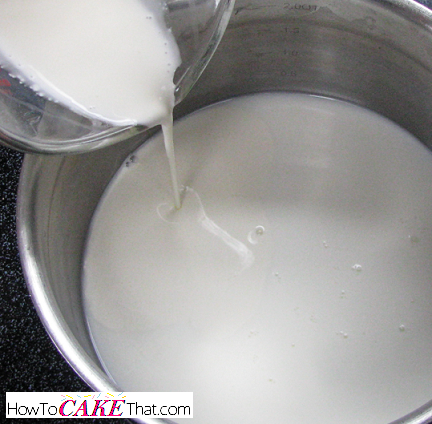 To begin this recipe, pour 6 ounces of whole milk into a saucepan. 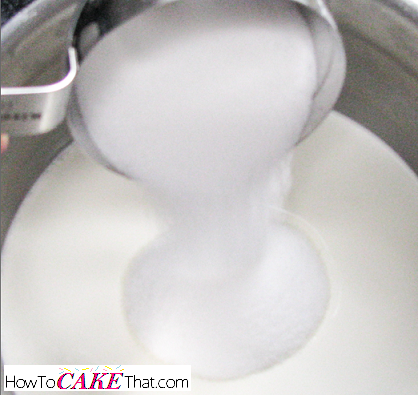 Next, pour 2 ounces of heavy whipping cream into the saucepan. Add 6 1/2 ounces of granulated sugar. And sift in two tablespoons of all purpose flour. 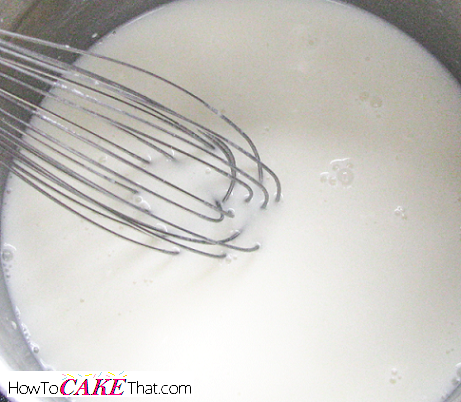 Whisk ingredients together and bring to a boil over medium-high heat. Be sure to whisk constantly while cooking this mixture to keep it from burning. 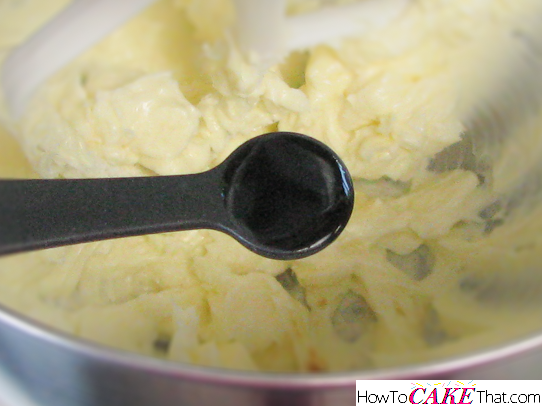 Cook mixture until it becomes thick like custard and can leave a thick coating on the back of a spoon or spatula. Remove from heat and set aside to cool. While mixture is cooling, add 1 stick (4 oz) of unsalted butter, and 1/2 stick (2 oz) of salted butter into the bowl of a stand mixer. Note: The 1/2 stick of salted butter adds just a hint of salty/sweet taste to your whipped buttercream, which really helps to enhance the buttercream's flavor! But if you would prefer not to have the added salt, just use 1/2 stick of unsalted butter instead. 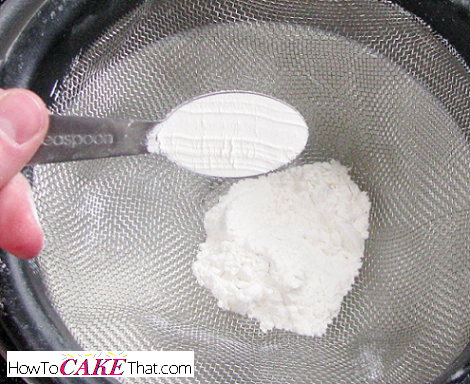 Next, add 1/4 cup of high ratio shortening to the mixing bowl. 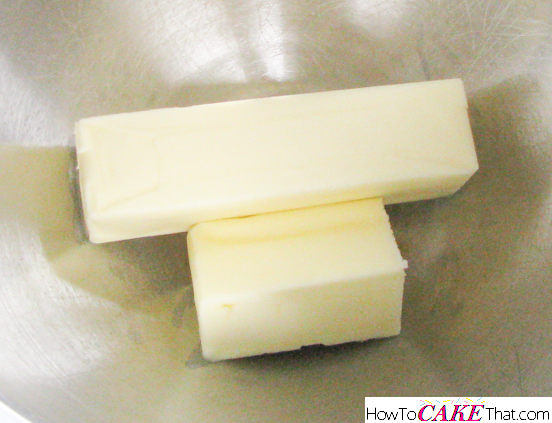 Note: If you prefer not to use high ratio shortening, feel free to add 1/4 cup of unsalted butter instead. 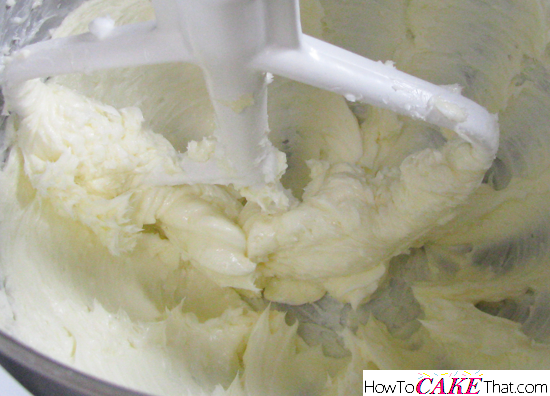 The shortening helps make the buttercream sturdier in warmer temperatures. 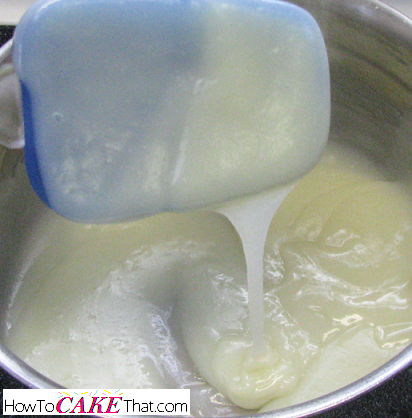 Allow butter to soften at room temperature. 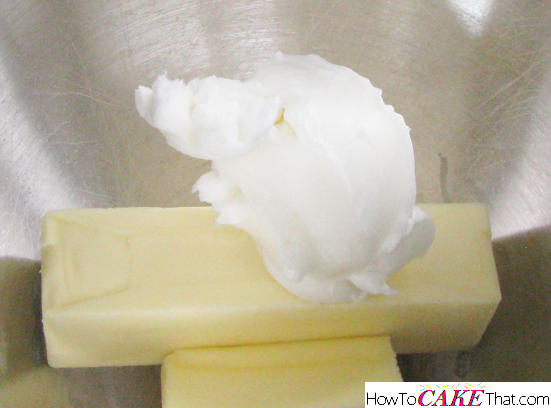 Once butter is soft, blend butter and shortening together on medium speed using the paddle attachment until just blended. Add 1/2 teaspoon of pure vanilla extract. Next, add 1 teaspoon of Natural Madagascar Bourbon Vanilla Bean Paste to the bowl. Note: This vanilla bean paste comes in a 4 oz jar and is made by LorAnn Oils and can be found at Michael's craft stores or most Cake Supply Stores. 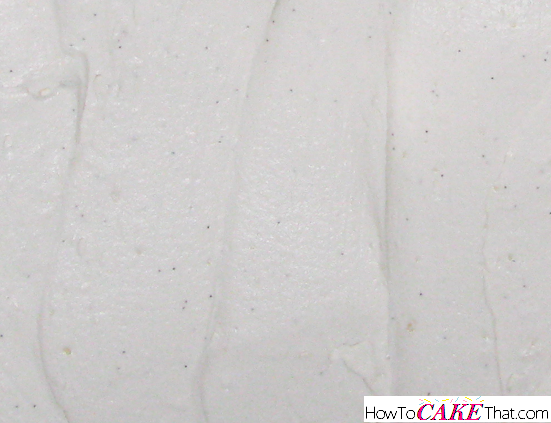 Better quality vanilla bean pastes may be more potent. So if using a different brand, add just a little at a time to taste. 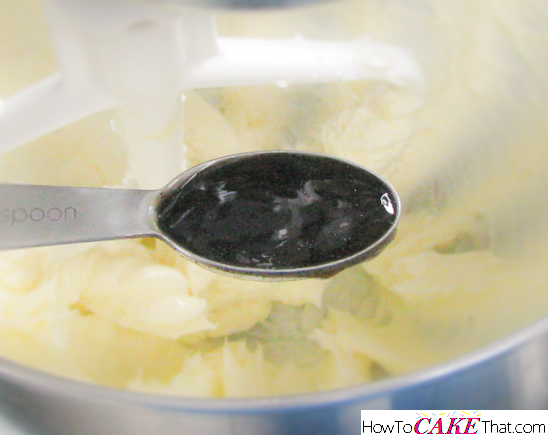 Blend butter mixture and vanilla bean paste on medium speed until well blended. 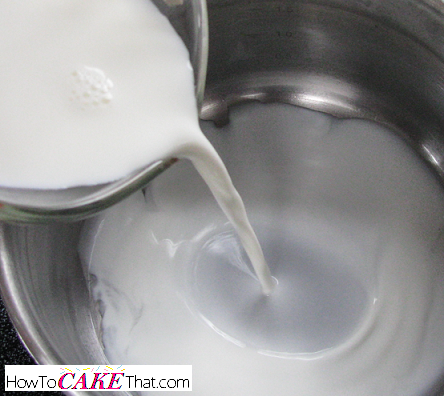 Once cooked mixture is cooled. Add it to the mixing bowl. 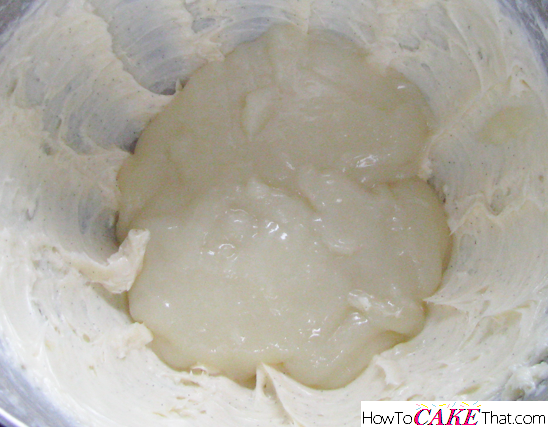 Using the paddle attachment, mix on high speed for 5 minutes, or until light and fluffy. 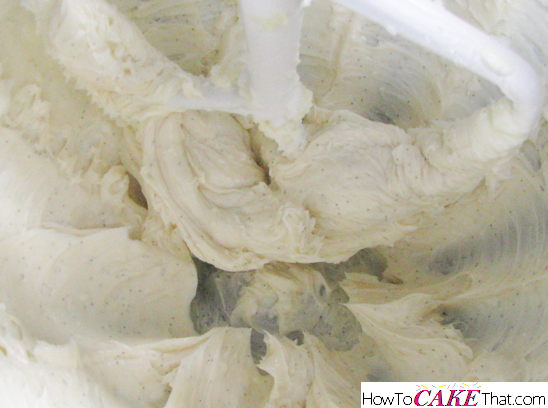 And that's how you make this yummy speckled whipped vanilla bean buttercream! I hope you have enjoyed this tutorial! God bless! !